The Wall Street firm failed a decade ago. A dazzling new production of “The Lehman Trilogy” reminds us how it began 164 years earlier. The founding siblings and their offspring tell how immigration, financial innovation, and periodic crises set the stage for the final collapse. 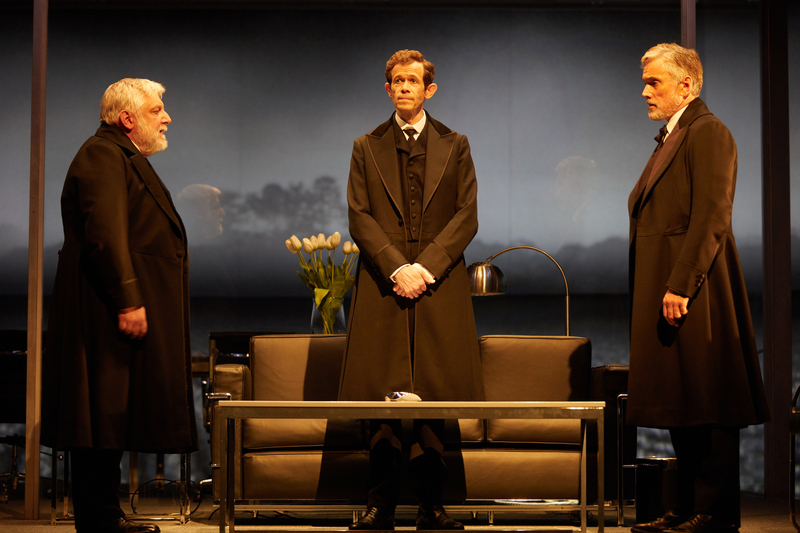 Simon Russell Beale, Adam Godley and Ben Miles in The Lehman Trilogy at the National Theatre. Image courtesy of the NT. “The Lehman Trilogy” by Stefano Massini, adapted by Ben Power and directed by Sam Mendes, is at the National Theatre in London until Oct. 20.